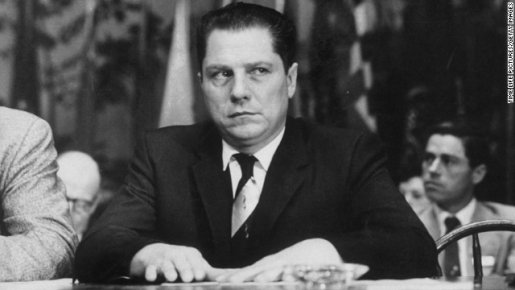 Famous union leader and missing person Jimmy Hoffa. People don’t just disappear, but when you’re Jimmy Hoffa, you can disappear without a trace. The union leader has been gone since 1975, when he was last seen in a Detroit, Michigan restaurant. Since then, there have been a few places where Hoffa’s body has been believed to reside, but Detroit has been the center for Jimmy Hoffa searches. So far, there has been no luck, but federal authorities are searching a field in Oakland Township, Michigan, for Hoffa’s remains as we speak. The authorities are acting on a tip from 85-year-old Detroit mobster Tony Zerilli. According to Zerilli, Hoffa was disappeared by Detroit mobsters who wanted to avoid a Hoffa move on the auto workers’ union pension fund. Other stories involve the Genovese crime family headed by Anthony “Tony” Provensano and the New Jersey mob wanting Hoffa out of the way. Zerilli says that Detroit bosses held a meeting with Hoffa, lured him to a farm upstate, and did the deed there before burying the union leader in a hidden location. Hopefully the unmarked field in Oakland Township is Hoffa’s final resting place and we can solve that mystery.